There are currently 29 users and 1638 guests online. 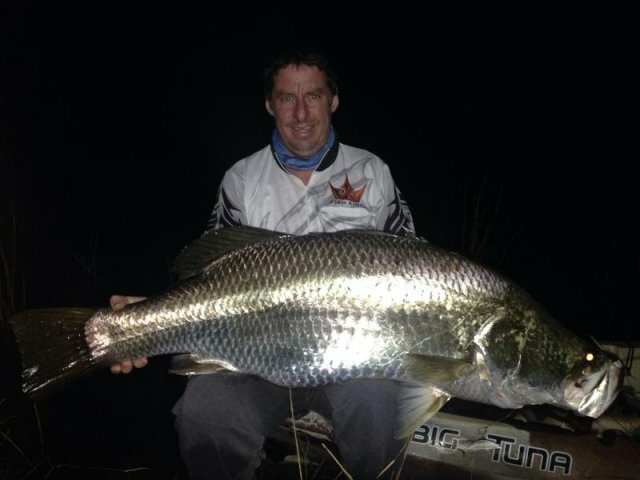 Just landed this 123cm Barra. Will put some better pics up later on. Got a 95 earlier and a few more lost so not a bad trip so far. Tinaroo dam paddling. Not much mate, lost the mojo and lost confidence in the boat a bit and cant afford to replace the outboard at the moment. Its been hard since exxy seeing as i caught nearly everything on offer. Still doing random trips occassionally but nothing worth raving about unfortunately and nothing like i used to. Also kill bags when spearing are a bit out these days so i hold onto them. Scales the size of a beer coaster, great fish. sums it up! great job. is there crocs if your in a row boat? !